The world's favourite voice analysis app, used in speech therapy clinics, research centres, universities and homes in over 120 countries. Over 1 million recordings have been made with Voice Analyst. • Analyse your pitch and volume as you speak. • Support speech therapy (such as LSVT for Parkinson’s) in clinic and/or at home. • Check your voice against pitch and volume targets. • Email recordings to your speech therapist or colleagues. • Transfer recordings to any cloud storage such as iCloud, Dropbox and others. • Record your voice and see your pitch and volume in real-time. • Analyse your voice to show min/max/average/range for pitch and volume. • Set minimum and maximum targets for pitch and volume. • Zoom in on any part of a recording to analyse in detail. • Save your recording to your device, iCloud, Dropbox and other cloud storage. • Save any portion of your recording. • Share your recordings and statistics by email, messaging, AirDrop and more. • Copy your statistics to spreadsheets on your device and your Mac. • Splitscreen and multitasking support. • GDPR compliant - no personal data is collected. • Help system with free support. 4.8 star rating and top 3 Medical App in USA, UK, Australia, France, Canada and many more! "This app is great for self-monitoring, but you could also take it along to your next speech therapy appointment to share your goals and results, and put you in control of the session." "Fantastically easy to see where your pitch is, to set target ranges, to make and analyse recordings, and to export and import recordings. 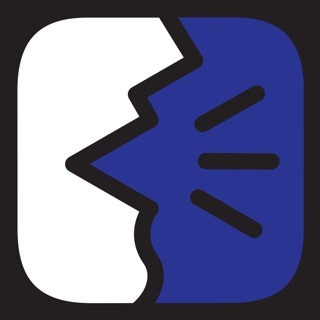 I can’t imagine working on my voice without this app." "I've been using Voice Analyst with my transgender clients. It is incredibly user friendly and provides great visual readings of frequency as well as an instant analysis of pitch range and mean. My clients can use it in session and some have downloaded it to work with at home." "Love this app. So simple to use yet it packs all the technology needed to make it easy for me to monitor and motivate myself." "Thank you! This is a great app which helps me to monitor my voice. Very easy to use." "I use this for work with voice clients. Very useful to track change since you can save recordings"
If you are concerned about the quality of your voice, you should see your doctor and request a referral to an Ear, Nose and Throat (ENT) Specialist. Customers, we are here for you! If you have any comments on how we may improve Voice Analyst then we would be delighted to hear from you. Please email us at support@speechtools.co. Decent app, does allow me to record voices and see the pitch and dB so that’s good. I went for this as it looked simple, which given the x and y axis, it is. Unfortunately when listening to playback controls are fiddly and hopefully they can put a simple pause button on the controls in the next update. Then it’d get 5 stars. If you've any other suggestions please send them in to support@speechtools.co. Love this app. So simple to use yet it packs all the technology needed to make it easy for me to monitor and motivate myself. As someone with Parkinson's it's essential I maintain daily exercises to keep my voice strong and clear. After completing LSVT loud with most inspirational VT ever this has been a brilliant help.